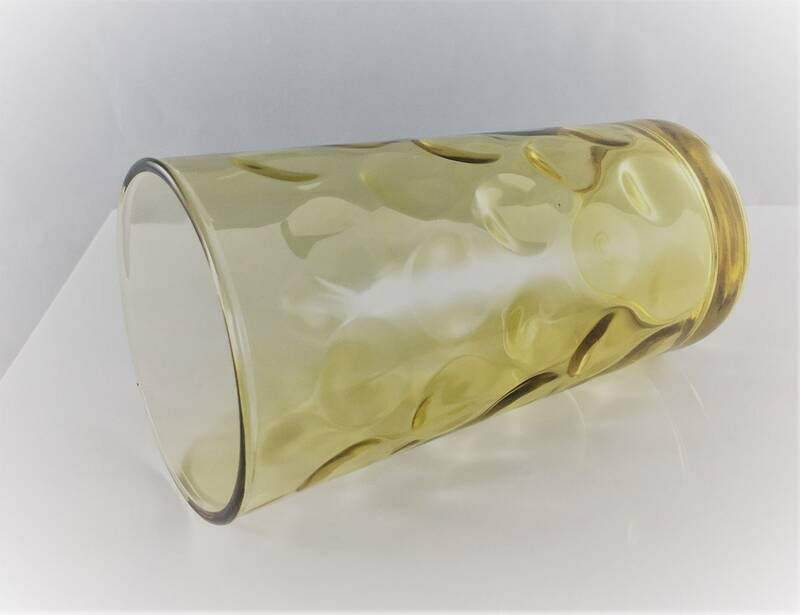 Featured is a beautiful set of four vintage tumblers from Hazel Atlas. 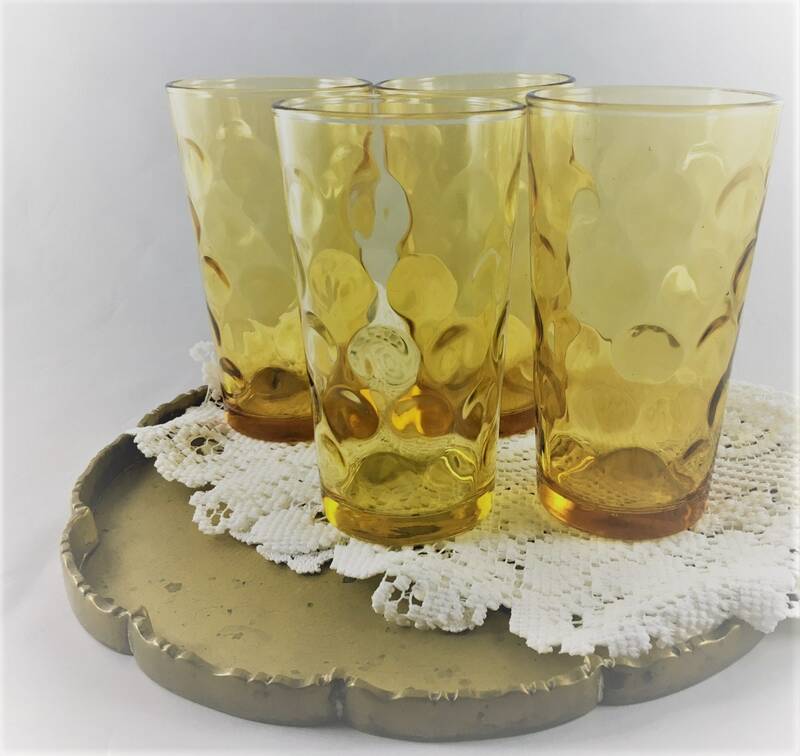 These 10 ounce glasses are in their Eldorado Gold pattern and they are characterized by a coin dot motif. 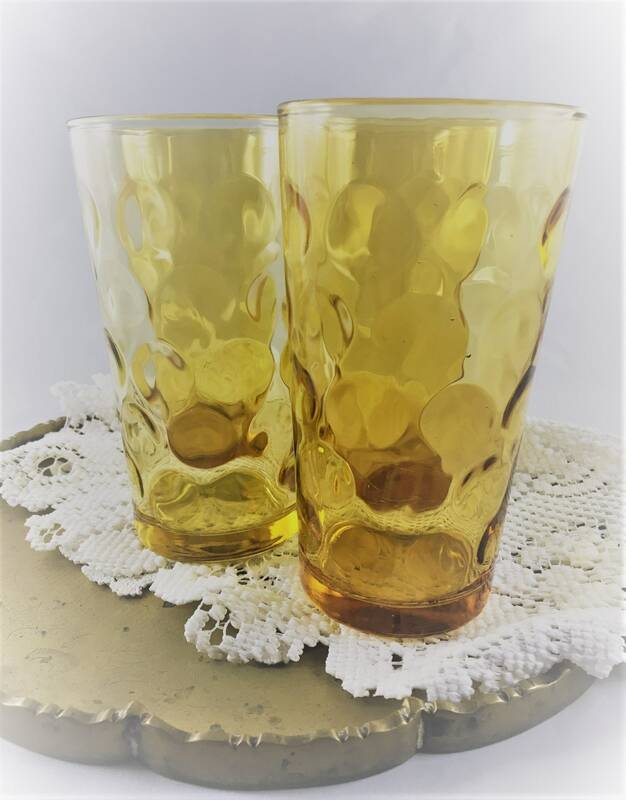 Excellent examples of late mid century drinkware. 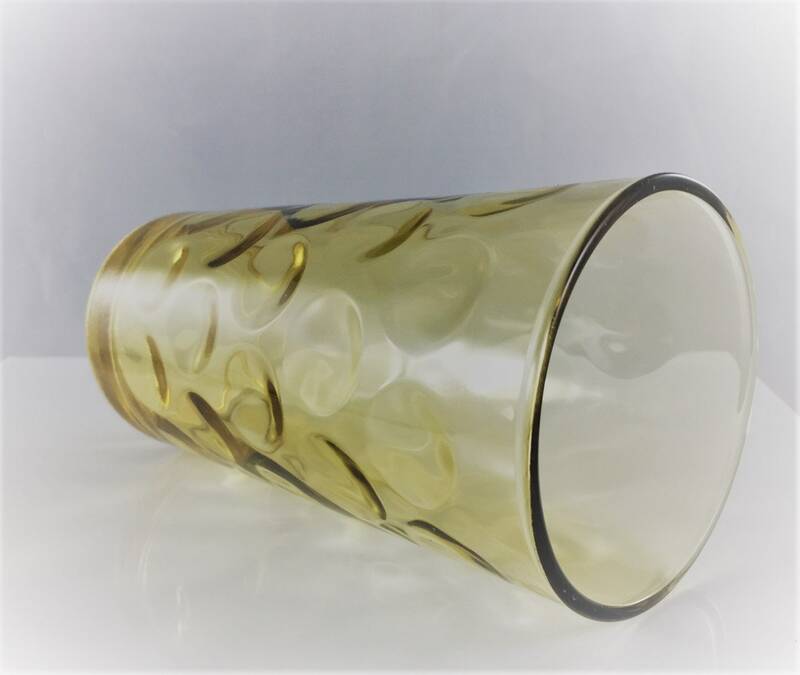 The glasses stand about 5 inches tall and they are about 2 3/4 inches in diameter at the rim. 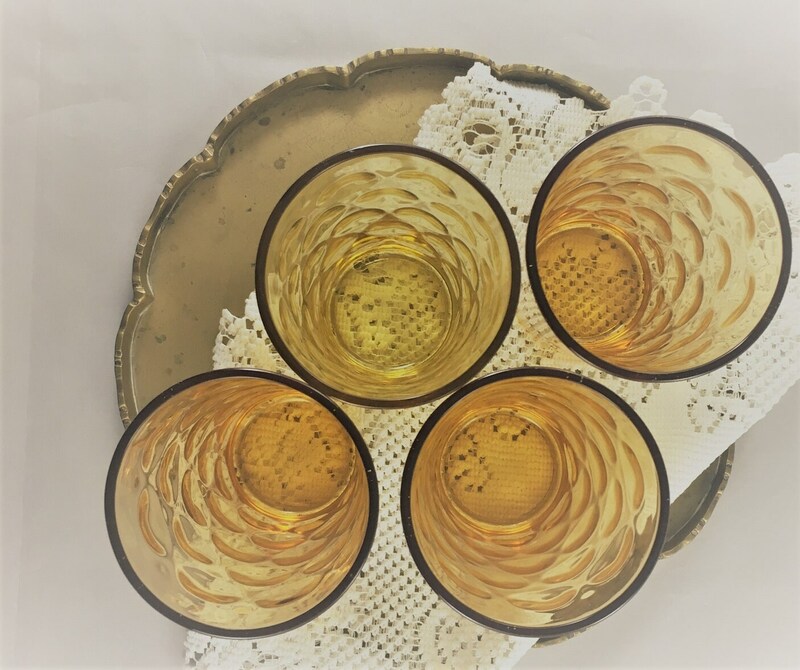 All four are in excellent vintage condition with no chips or cracks. 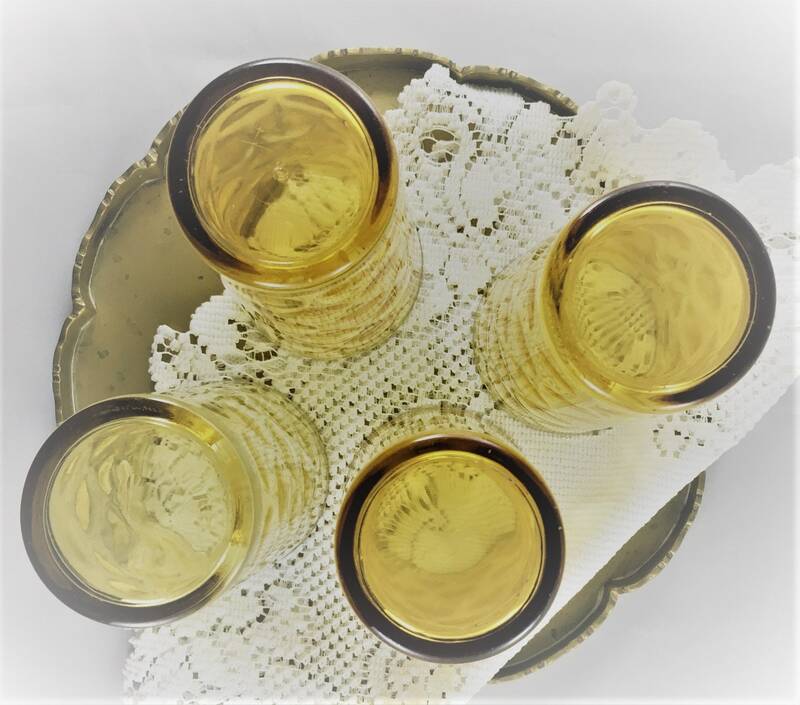 Set of 4 for one low price.